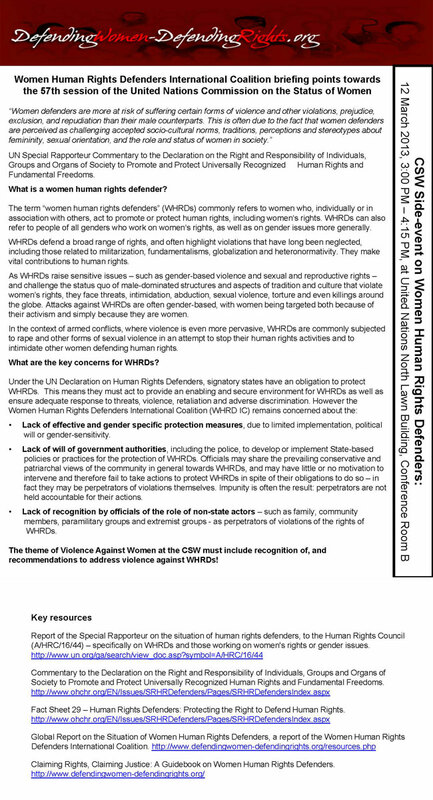 Under the 1998 UN Declaration on Human Rights Defenders, States have an obligation to protect WHRDs, which includes ensuring gender sensitive protection measures to threats, violence, retaliation and adverse discrimination faced by WHRDs. Primarily, the concern for an enabling and secure environment for WHRDs originates from basic recognition of the significant role of WHRDs in the community. 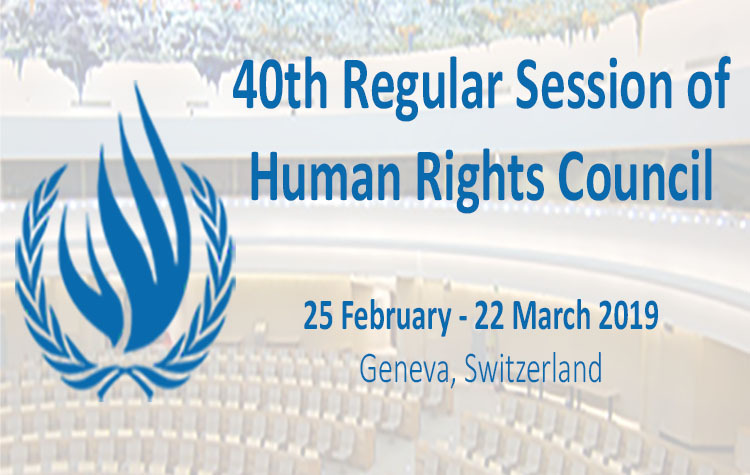 As this remains a major concern, the Women Human Rights Defenders International Coalition (WHRD IC) calls that the theme of Violence Against Women at the CSW will include recognition of, and recommendations to address violence against WHRDs.